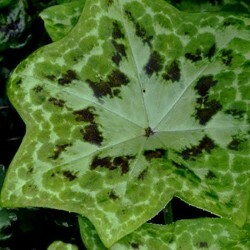 Podophyllum There are 2 products. Vegetable curiosity. 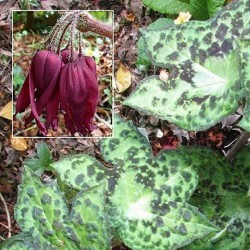 This asian deploys large sheets of starry 40cm (deciduous) mottled and speckled silver and chocolate. Garnet pendant flowers grouped under the foliage. Plant undergrowth that naturalizes slowly. Soil humus and well drained. Asian perennial strange straight out of the island mysterious tintin. Huge deciduous chocolate flecked chartreuse deploying such an umbrella. Flowers grouped in garnet drooping bells. Easy undergrowth plant in humus-rich, well drained soil.